We are happy to announce that Part 2: Step into Law will be held at the University of Law’s Guildford Campus on 22nd November 2017. 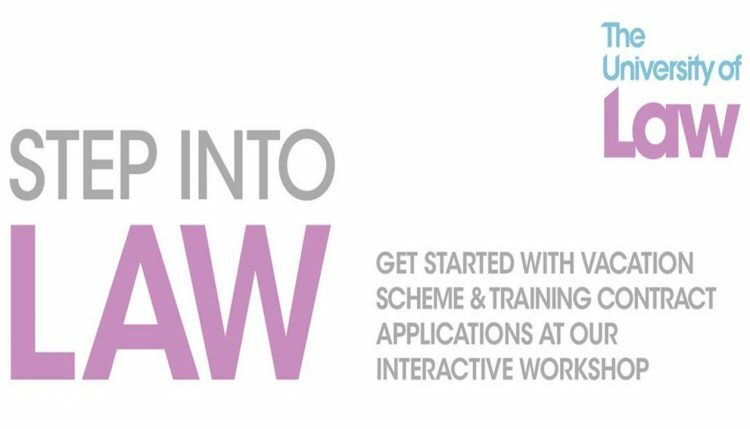 In order to sign up to part 2, students will need to register their details on the Guildford Step into Law event. This part will explore selection process for vacation scheme and training contracts, providing an insight into the current legal marketplace and advice on application forms, interviews and assessment centres. University of Law will providing us with a coach, so we currently only have 50 spaces available, SO SIGN UP NOW!!!!!! For further information, contact Jessica Akinboyewa.